Last week Clara turned 9 months old. This has probably been one of the busiest months so far in terms of development. She can finally say Mama! 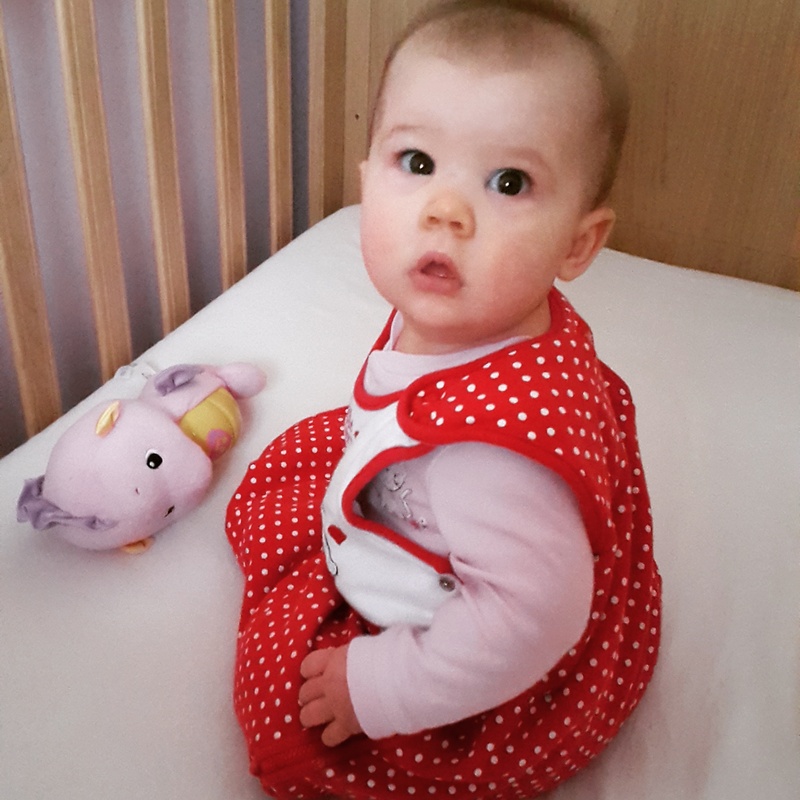 She’s been saying Dada for a couple of months now, but in the past few weeks she’s started saying Mama and Clara and babbling away a lot. 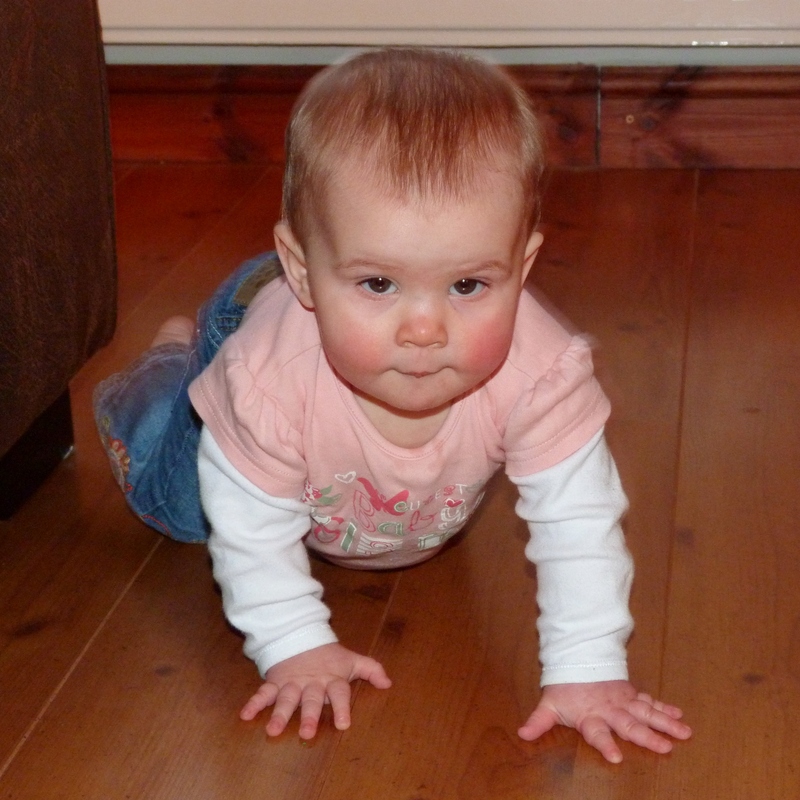 At the beginning of February she started to crawl. Properly crawl, not just shuffling backwards. Now there is no stopping her – she’s like a little puppy, padding along on her hands and knees, following me from room to room. She’s quick too – gone are the days I could put her on the floor and actually relax. Now I’m jumping up every 30 seconds to stop her going somewhere or touching something she shouldn’t. She has started pulling herself up on furniture too. She can usually only manage a few seconds on her feet before dropping to her knees or bottom but she has such a determined look on her face. 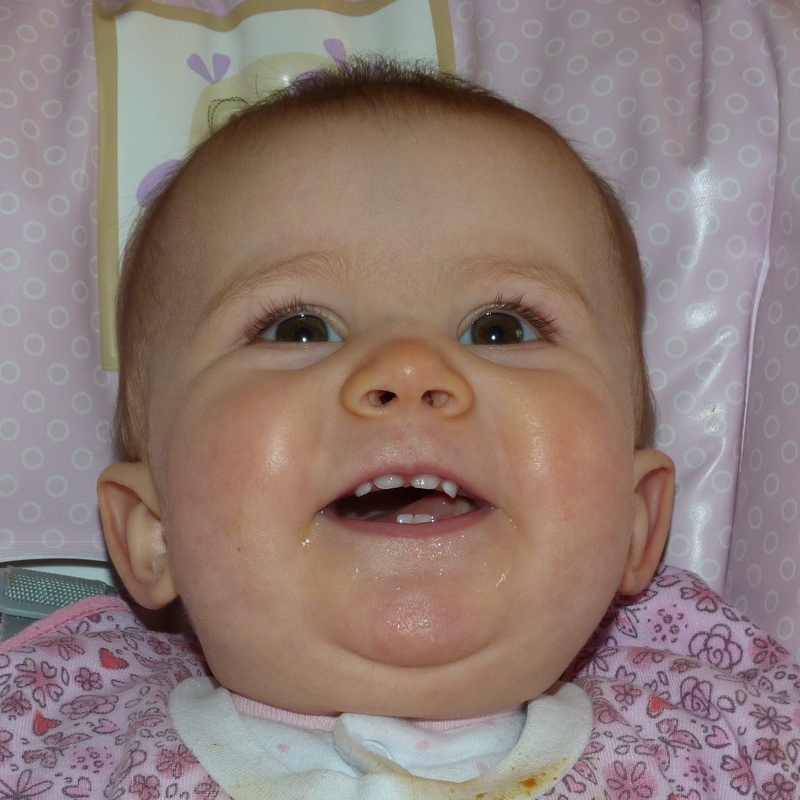 Little Clara is now the proud owner of a very toothy grin as her two middle top teeth have popped through. That makes 6 teeth now. She’s bitten me a couple of times on the arm as she’s trying to get used to her teeth. Luckily she’s not really bitey during feeding. Food plays a major part in Clara’s life. She loves pretty much anything we give her. Homemade moussaka, butternut squash risotto, salmon pasta and vegetable soup are current new additions to the menu. I have started making more food that we can all eat (just cutting out the salt/stock cubes) and freezing portions for Clara and Izzy. It’s a nice way to get us all eating a bit healthier and saves time preparing separate meals for everyone. 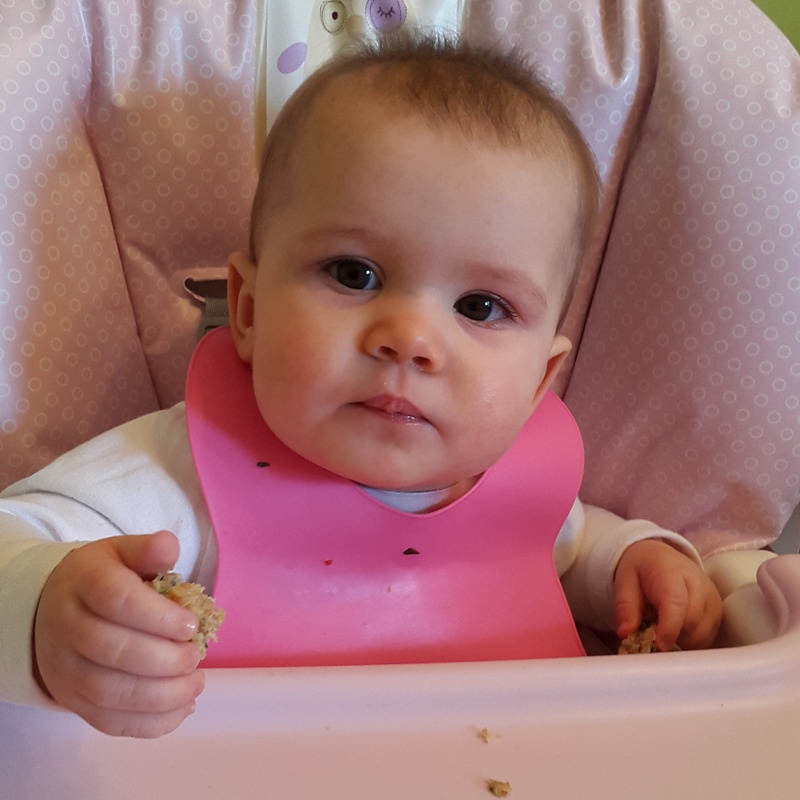 She’s getting to grips with a lot more finger food. Strawberries, banana, toast, cheese, plus whatever she can steal or beg off her sister! Just in the past week she has started to wave. She first did it during a Skype with her grandparents which was nice. Now she will wave at me when I’m pushing her along in the pram, always with a big smile on her face. 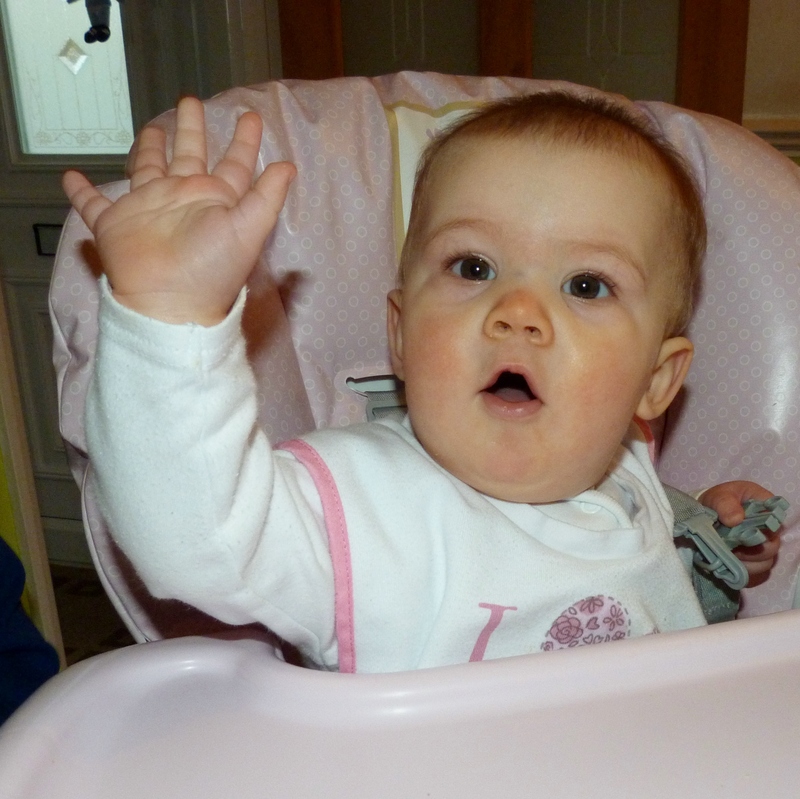 Clapping and dancing make her equally as happy as waving. 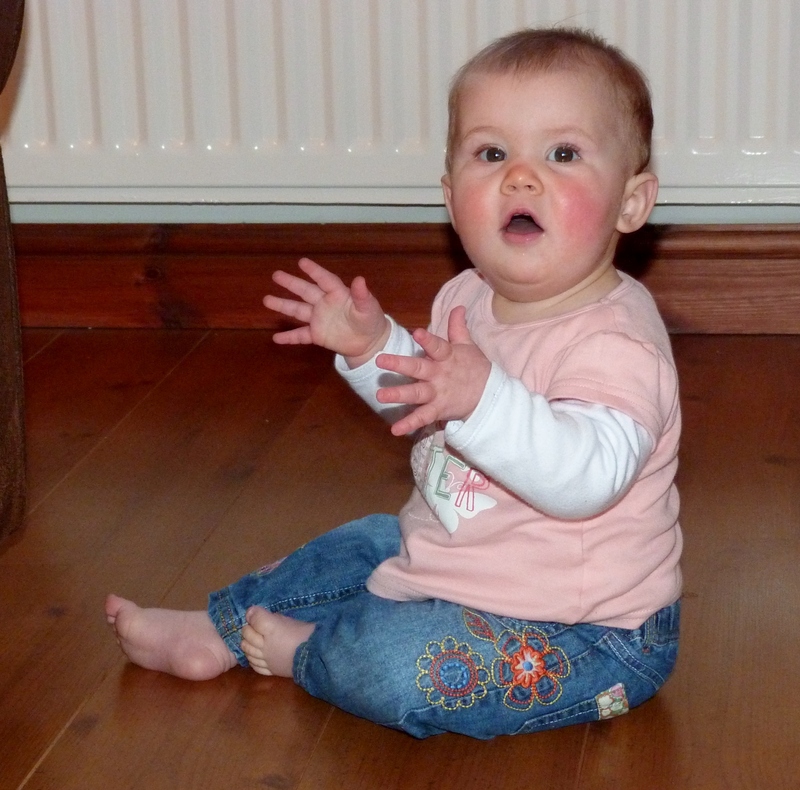 She will start clapping and giggling at inappropriate moments though, like while Izzy is being told off! Her cutest trick at the moment is shaking her head and laughing when we ask her questions. 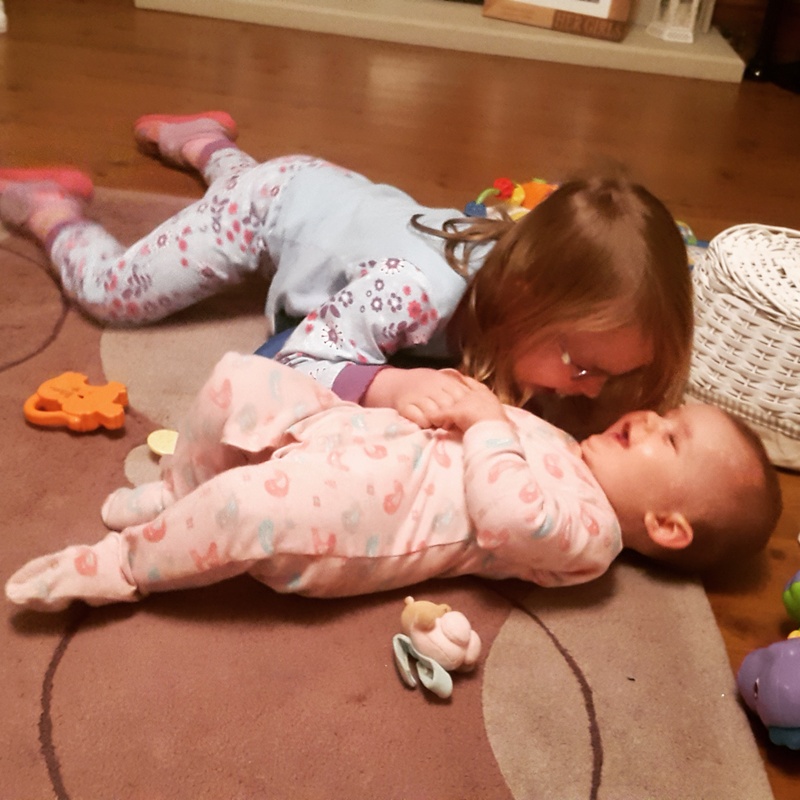 These two are the best of friends and Izzy always makes her little sister giggle. She has settled into a bedtime routine really well, better than we expected. About half the time she will wake around 4am for a quick feed. 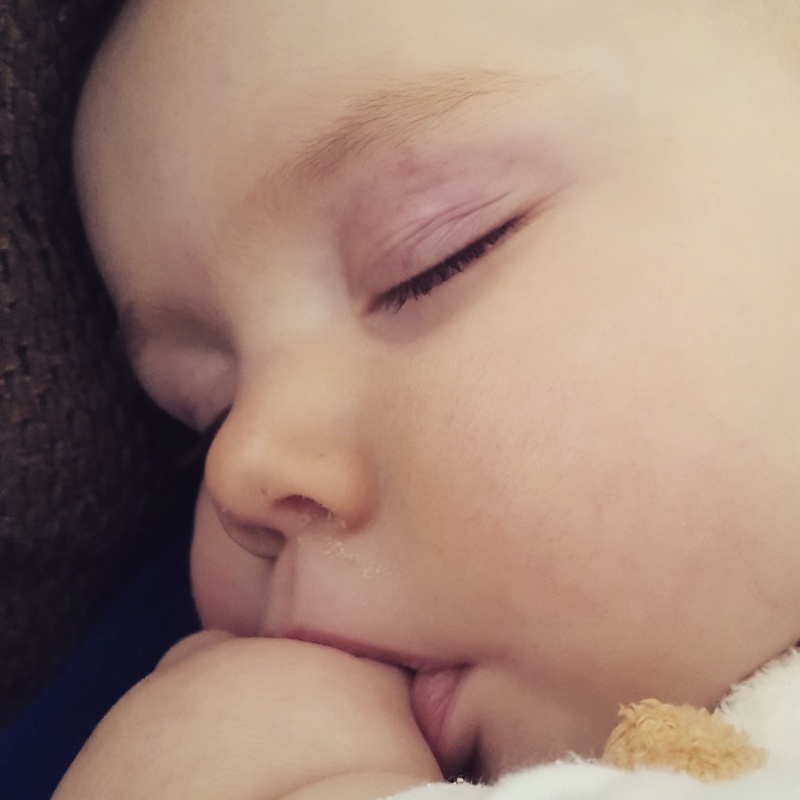 The other half she sleeps right through – 11 or 12 hours – which is amazing. Another awesome month with our littlest. She’s darling!! She has so many teeth! Simon has 2 top and 2 bottom only. And he refuses to crawl but loves pulling himself up too. Life is changing fast :). Great recap! Thanks. Once they start crawling there’s no rest! Each month they get more and more interesting, developing their own little personality and characteristics.